When I was first researching for this site in early 2000, I scoured the Internet for snippets of information of the Porridge cast. One of the pieces of information for which I was looking was the date the main actors were born. 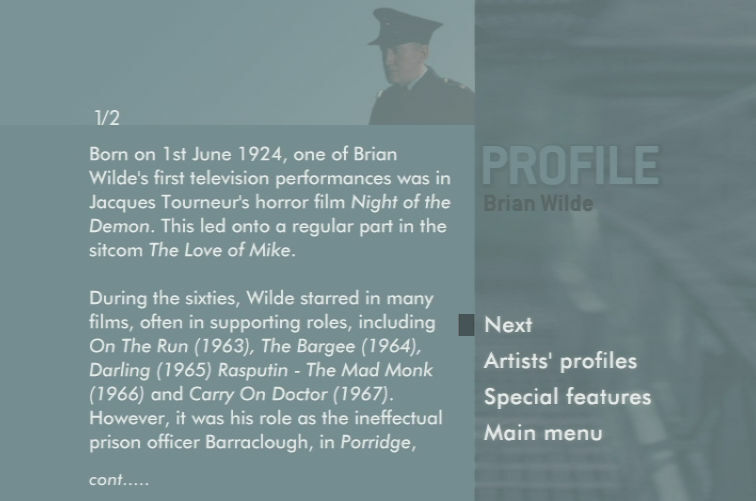 The only main actor whose date of birth I could not trace was that of Brian Wilde. Search as I did I could not find anywhere on the Internet that had this information. I could have just left matters at that. 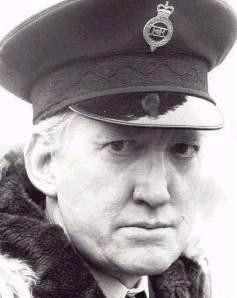 However, I was concerned that a basic piece of information was missing about Brian who is, after all, one of the most important players in Porridge. I then came up with a strategy that was to result in surprising repercussions just two years later. My clever idea (or so I thought at the time!) was to invent a date of birth for Mr Wilde. I made an educated guess at the year (1924) and picked an easy date to remember (1 June) so that I would always know the fake date. I hoped that someone who either knew Brian Wilde or perhaps even the man himself would see this error and correct me. A nifty way of getting the missing info eh? Two years passed and I heard nothing. In the summer of 2002 I was updating the Porridge site and felt that as the ruse had not worked I had better remove the fake date of birth. I did so and thought nothing more of it. As an avid Porridge fan I bought the BBC DVDs released in 2002. Among the special features are mini biographies of the stars. Imagine my surprise when I noticed that official BBC merchandise quoted Brian Wilde's date of birth as 1 June 1924! There were two possibilities here. Either the 1000 to 1 shot came in and I had fortuitously guessed his date of birth correctly or the BBC researchers had obtained this false information from my site!! As the second possibility was the most likely outcome (and now turns out to be the case), I would like to apologise to the BBC but most of all to Mr Brian Wilde's family. I put this information on my site with good intentions and did not foresee this outcome. It just goes to show, you should not believe all that you read. Especially on the internet!! I received an email from Stan Feast who told me that he went to Hertford Grammar School with Brian Wilde. He was born in 1927 which meant that Brian must have been born in either 1926 or most likely in 1927! So we had now discovered that all of our guesses had been ageing Brian a few years! In early 2008 members of Brian's family got in touch to let me know that Brian was in fact born on 13 June 1927. So after eight years, the mystery is finally solved. His family also reported an answer to one of the most frequently asked questions on this site. Over the years I had received many emails enquiring as to Brian WIlde's health as nothing much had been heard since 1997. I was delighted to learn from his family that Brian was in good health. Sadly, on 20 March 2008, before I had an opportunity to report this excellent news, Brian Wilde had died. So the mystery is finally solved but we also now know that we have lost another one of our great comedy actors. Brian was one of our funniest actors of all time and will be greatly missed. If any of you have any comments you would like to make on this subject then please feel free to email me at ian@porridge.org.uk.